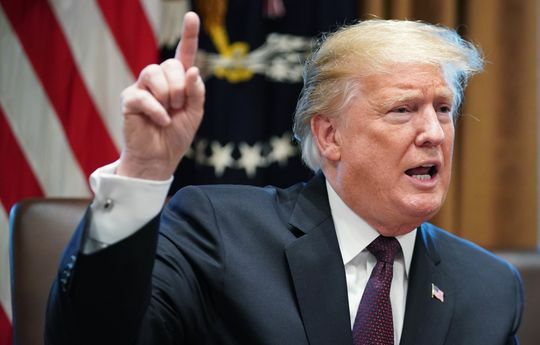 WASHINGTON – THE White House has confirmed President Donald Trump is close to announcing his nominee to lead the World Bank after current boss Jim Jong Kim’s surprise resignation, two years before he was due to step down. In 2012, Dr Kim imposed a ban projects using coal, a policy that affected South Africa’s Eskom along Kenya, Tanzania, Botswana, India and the Philippines, all of whom are building coal-fired power plants and had to find money elsewhere. Dr. Kim who was born in South Korea but grew up in Iowa was the first Asian to head the global funder (Wolrd Bank). Since 1946, every bank president has been American with the exception of Sydney lawyer James Wolfensohn who was appointed by Bill Clinton and served for a decade until 2005. Researchers at the University of Witwatersrand in Johannesburg have pioneered methods of using coal cleanly. India, Australia and the US have embraced a mixed system for a cleaner burn while piping off the remaining emissions. Chemicals are extracted from the gas and sold as a byproduct. In the late 1970s, as Robert McNamara came to the end of his term at the bank, former Zimbabwean finance minister Dr Bernard Chidzero was viewed as a successor but instead took a post as minister for development in the first Mugabe government of 1980. At the Davos economic summit in Switzerland last week, former Nigerian finance minister Ngozi Okonjo-Iweala — who was shortlisted against Dr Kim in 2012 — said she would consider the post, “if I am nominated and if the circumstances are right”.